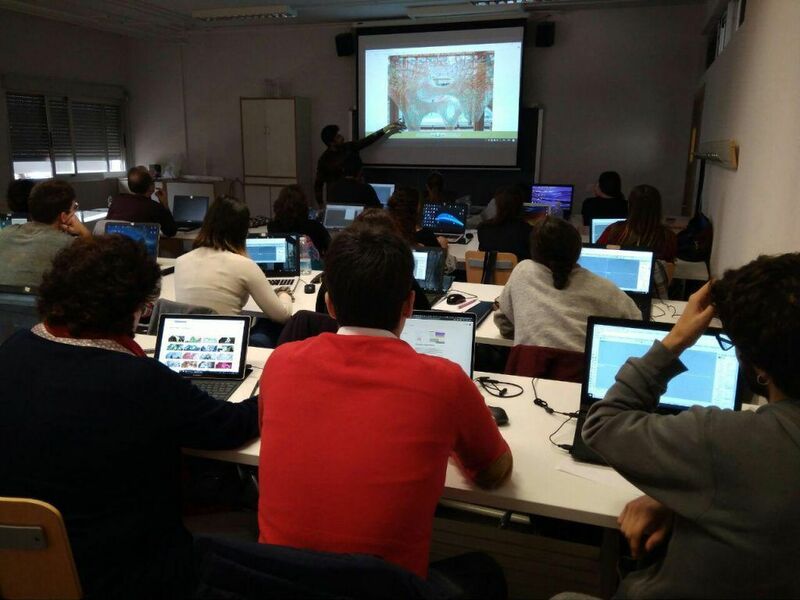 Interior Design and PDO students are initiated in design through parametric panelling | EASD Alcoi. Salvador Serrano, from the Ootro architecture studio, specialised in computer-aided design and digital production, offered a workshop of parametric panelling to Interior Design Degree third and fourth year form students as well as PDO Cycle second year form students last week. In this way, they were able to get started in the handling of parametric tools oriented to the design of paneled surfaces through the triangulation of free shapes. They were also taught to work throughout a prototype design and manufacturing process and the development of parametric thinking and structural functioning. 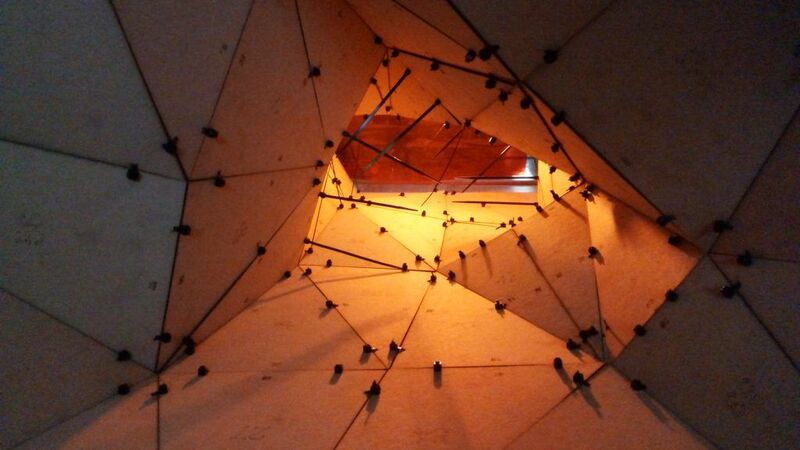 The workshop included two sessions: first, a theoretical introduction to the main concepts of parametric design, in which the triangular panelling of free-shape surfaces and the numbering and unfolding of panels was developed. And second, designing and manufacturing of a prototype that included laser cutting practices and its assembly. 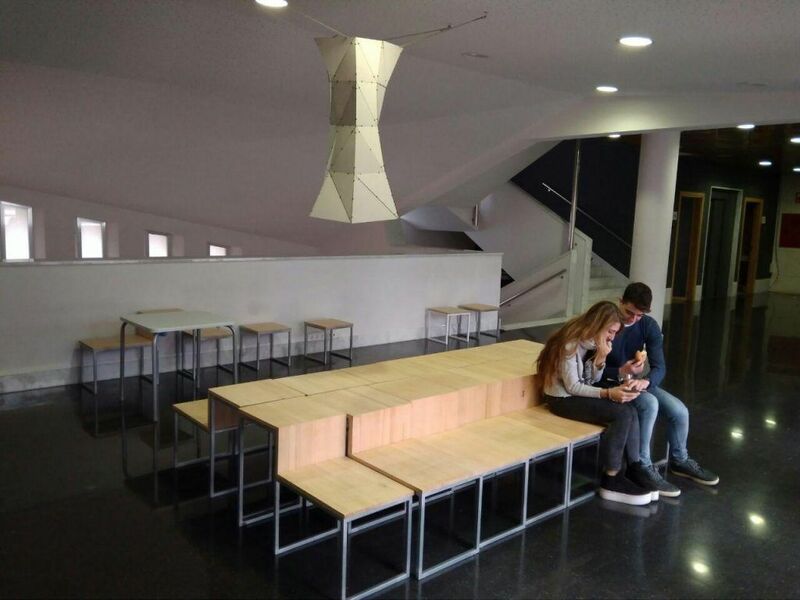 The result can be seen on the ground floor of the EASD Alcoi, next to the cafeteria.